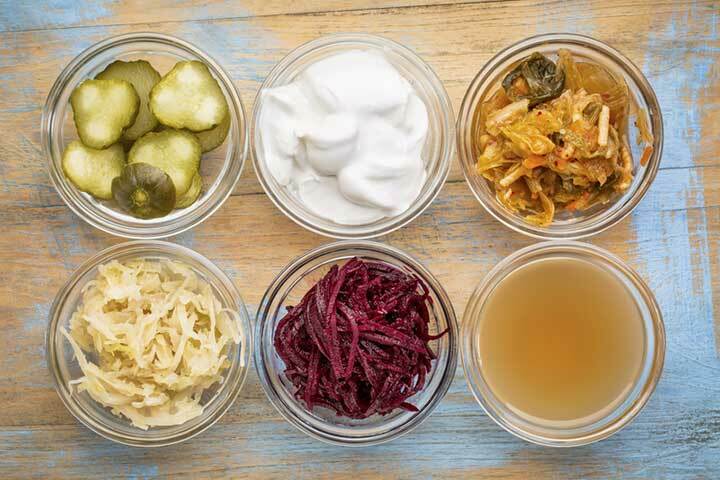 Learn why fermented foods are healthy—and why such selections as yogurt, tempeh, and sauerkraut should play a prominent role in your kitchen. With such a wide range of effects that can benefit your overall health, fermented foods deserve to be a regular part of your diet. Fermentation—a chemical process by which a carbohydrate is converted into an alcohol or an acid—has long been used in cultures all over the world as a food preserving technique. While beer and wine are produced by ethanol fermentation, where sugars are converted to the alcohol ethanol, fermented foods like kimchi, sauerkraut, and yogurt are made by lactic acid fermentation. 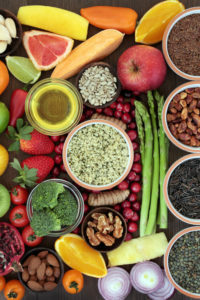 A bacteria called lactobacilli converts the starches and sugars in fruits or vegetables into lactic acid, which accounts for the distinct, sour flavor and smell of these foods. Fermenting foods increases their nutritive value; for example, higher levels of niacin and riboflavin are found in fermented yogurt. One of the main reasons why fermented foods are healthy is their high probiotic content. Our body is always full of bacteria, both good and bad. Probiotics are the friendly bacteria that our body needs to stay healthy. Although you can buy isolated probiotics to take as a supplement, fermented foods are a great, inexpensive source of these vital bacteria for our bodies. Fermented foods also give you a better variety of natural bacterial strains than a probiotic supplement can offer. The probiotics found in fermented foods are especially effective at fighting diarrhea. Probiotics have wide ranging effects that can reach even the lungs, skin, and joints. They might even play a role in mental health by treating depression. What are your favorite fermented foods? Do you find eating these foods helps your digestion or benefits your health in another way? Share your experience in the comments section below. Best Pract Res Clin Gastroenterol. 2013 Feb;27(1):139-55. Crit Rev Food Sci Nutr. 2014;54(7):938-56. Food Chem. 2012 Dec 1;135(3):1914-9.
alcohol, antioxidant, bacteria, beer, cancer, cooking, depression, diarrhea, diet, digestion, e coli, fermented cabbage, fermented foods, fermenting, food, health, health benefits of fermented foods, mental health, metabolism, niacin, nutrients, probiotics, sauerkraut, skin, stay healthy, studies show, supplement, treating depression, vegetables, vitamins, why fermented foods are healthy, wine, yogurt. I have been making and eating fermented vegetables for a couple of months now and give them credit for many improvements in my health. I have been learning to eat in a more healthful way and discerned that at my age dairy may not be the best choice for me. My digestion has improved greatly, I am no longer carrying weight in my guts and I think the veggie probiotics are finally helping my skin to become healthy. I have had acne for 35 years, and I have been able to greatly reduce the topical treatments I use. I wish I had known about this decades ago.